The Vice President, of the federal republic of Nigeria, Professor Yemi Osinbajo, has called on foreign investors to invest in Nigeria, adding that the country is the investment destination for Africa. He made this known at the commissioning of the second phase expansion project and laying of foundation stone for the third phase expansion project of Beloxxi Industries Ltd in Agbara, Ogun state adding that the country has become an easier place of doing business. Osinbanjo also said the policy laboratory, launched on February 6th,2018 was to accelerate the intervention of the Economic Recovery and Growth Plan (ERGP). According to the vice president , the laboratory is a euphemism that describes a relationship between the public, private sector.“It would also involve some other stakeholders coming together in a room to look at how they could look at problems, plan together, and resolve problems in investments in specific areas. Some of the areas we intend to look at in our laboratory include oil and gas, manufacturing and processing, agriculture and transport. The goal of this lab is to generate $24 billion worth of investment, 80 percent is expected from the private sector with 15 million jobs and a projected Gross Domestic Product (GDP) growth of 3.5 per cent this year and seven percent growth by 2020.”he said. Osinbajo commended the founder of Beloxxi, Mr Obi Ezuede for his achievement in the manufacturing sector and said that the government looks forward to collaborating with Beloxxi Industries across the platform to ensure economic growth and job creation. “I must also say that President Buhari’s administration is fully committed to providing funds to both hard and soft infrastructures in other to support companies such as Beloxxi Industries and others which will spur growth and create jobs within the economy.” He said. Furthermore, He also urged other indigenous manufacturers and businesses to ensure that they commit to Nigeria’s future, keep on investing and pushing the frontiers of local businesses. Also at the event, The Managing Director of the Nigerian Export and Import Bank (NEXIM), Mr Abba Bello disclosed that the bank’s mandate as an agency of the Federal Government is to grow the non-oil export by participating in financing it. 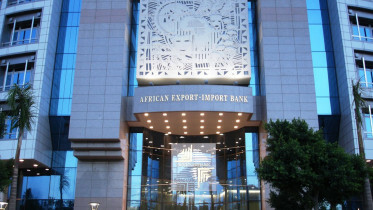 The Executive director in charge of Large Enterprises Division for Bank of Industry, Simon Aranonu also said the Bank of Industry is set to support genuine manufacturers would take the kind of initiative that this company has started to produce locally, to feed Nigerians and create job opportunities for the nation’s teeming unemployed youths. 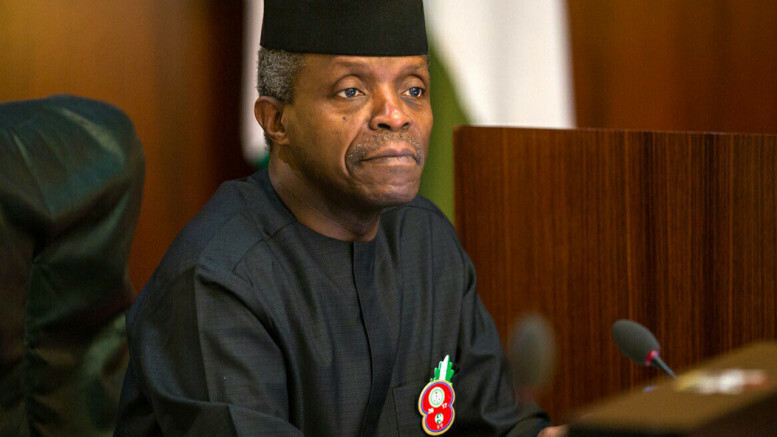 Be the first to comment on "Osinbajo Invites Foreign Investors to Nigeria"